Do not tilt or fade the logo. Do not stretch the logo out of proportion. Do not alter the colors in the logo. Logo may be placed on a white background or on a solid, colored background with special preference for either Pantone 282 C and Pantone 187 C as the background color. 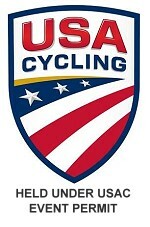 Logos on these backgrounds are provided. 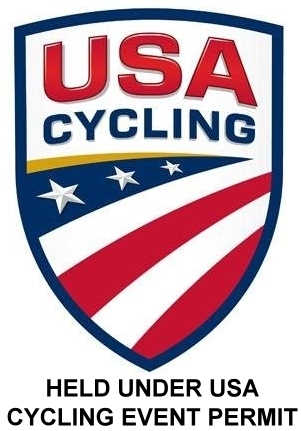 If you want to use the logo for clothing, hats, or other products, please e-mail USAC the request since there is another version of the logo specific for embellishments, embroidery, etc. 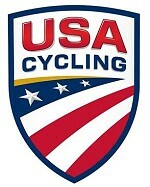 JPG Format, 150 px with "Held under USA Cycling Event Permit"
JPG Format, 300 px with "Held under USA Cycling Event Permit"